For those familiar with the iconic Simpsons series, you no doubt know of the drool-inducing affects a well-glazed and sprinkled donut have on Homer J. Simpson. The same drool-inducing affect is evident with the 2018 Audemars Piguet Royal Oak RD #2 Perpetual Calendar Ultra Thin Concept watch. First things first, even before we get to the technical marvels within this piece, it is absolutely gorgeous. What is not to love? The well-loved iconic styling of the Royal Oak, outfitted with the perpetual calendar complication in an incredibly thin case, checks all of the boxes. 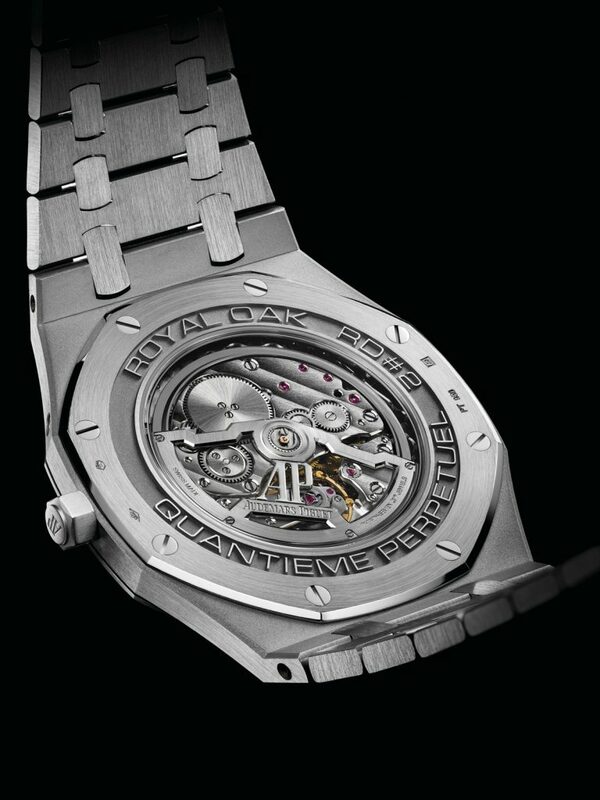 Audemars Piguet Royal Oak RD #2 Perpetual Calendar Ultra Thin Concept Watch measures just 6.3mm when cased and is the world’s thinnest self-winding perpetual calendar. 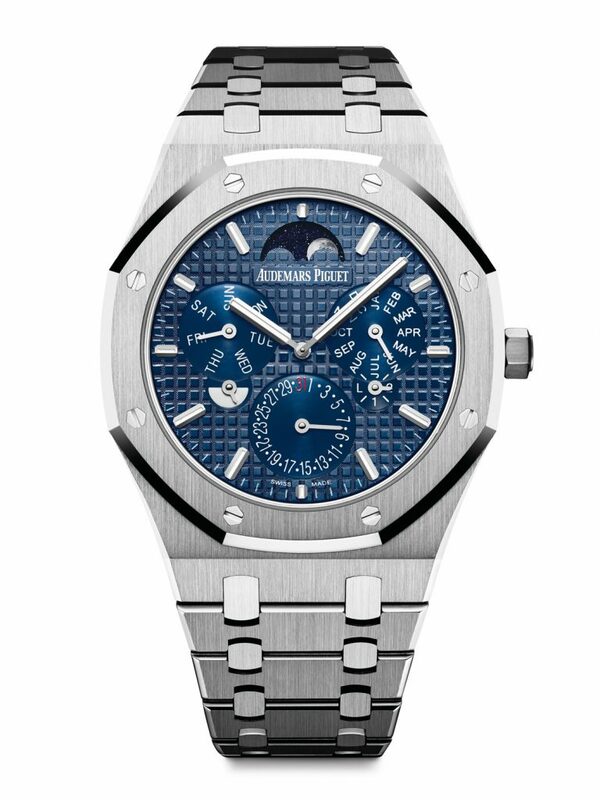 The Audemars Piguet Royal Oak RD #2 Perpetual Calendar Ultra Thin Concept watch is the world’s thinnest self-winding perpetual calendar, measuring a mere 6.3 mm when cased. It took five years to develop the ultra thin 256-part caliber 5133. The creators of the watch faced particular challenges, chiefly was the effort to compress a three-story movement into a single level in order to meet the ultra thin mandate. The manufacturer needed to rearrange and combine functions in order to get the thickness of the movement down. The end result is a patented system that features a record-breaking 2.89 mm thin central rotor, which is just a shade thicker than a nickel. 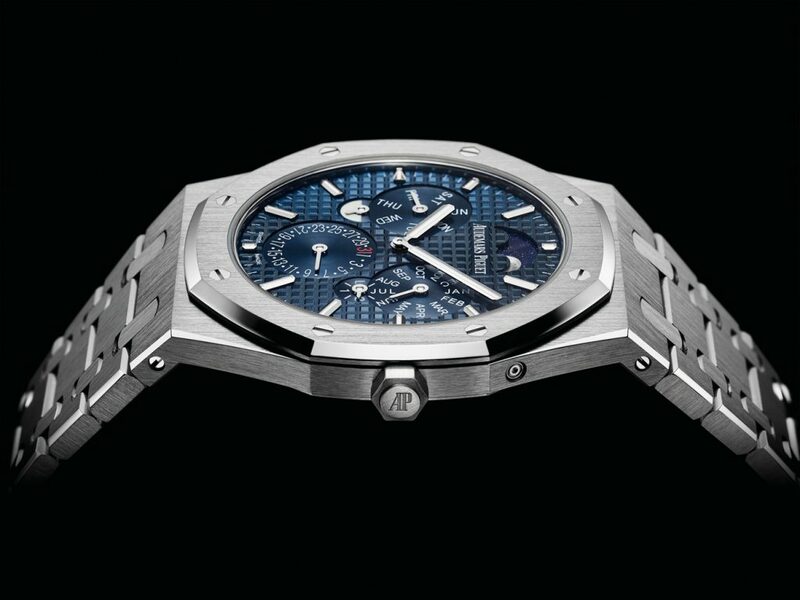 In the case, the full thickness of 6.3 mm is 2 mm thinner than the prior Royal Oak Extra-Thin Jumbo. Audemars Piguet Royal Oak RD #2 Perpetual Calendar Ultra Thin Concept Watch features a patented system with a 2.89mm thin rotor. 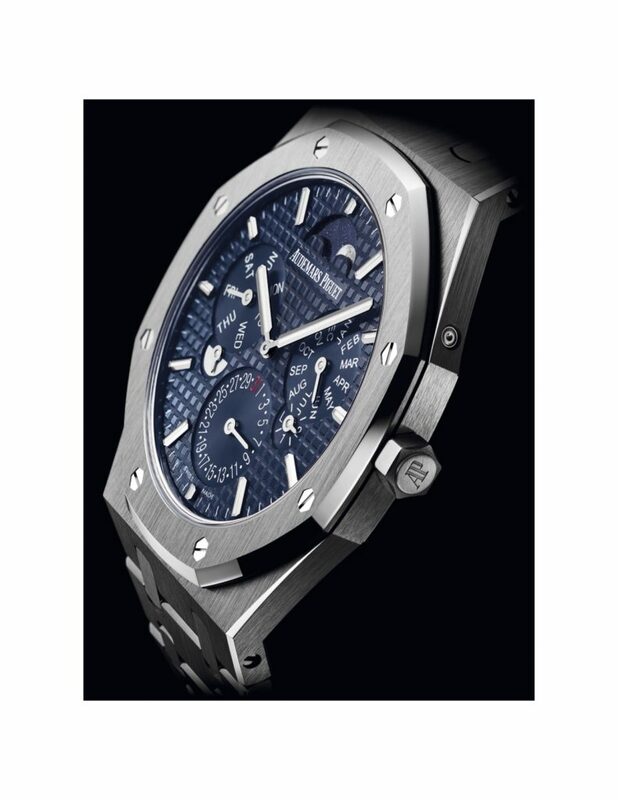 Of course Audemars Piguet has sacrificed none of the quality the brand is known for in bringing the Audemars Piguet Royal Oak RD #2 Perpetual Calendar Ultra Thin Concept watch to fruition. The case and bracelet are constructed of 950 platinum and the movement boasts a 40-hour power reserve. The dial features the “Grand Tapisserie” pattern in blue with highly legible indicators. The design of the moonphase indicator at the 12 o’clock position is an homage to the brand’s fist perpetual calendar wristwatch from 1955. The day of the week and month indicators are at the 9 and 3 o’clock respectively, with the day/night and leap year indicator found beneath each register. Finally: the date indicator at the 6 o’clock. This piece, quite simply, is groundbreaking. The perpetual calendar complication itself is a worthy accomplishment by any haute horology manufacturer. Combining that with the technical expertise required for the ultra-thin, which in and of itself is a demanding feat, sets this watch apart –making it incredibly drool worthy. However, as a concept watch, it is not yet in production.